BROWNSVILLE TN (January 16, 2019): The sixth annual Sleepy John’s Country Blues Jam will be held Saturday, January 26, 1 – 4 p.m., at the Delta Heritage Center in Brownsville, Tenn. 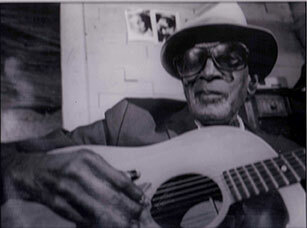 The free event recognizes the birthday and legacy of Brownsville Blues pioneer “Sleepy” John Adam Estes. This year’s event will feature a special Country Blues performance by Ethnomusicologist Dr. David Evans beginning at 1:15 p.m.
Evans is a specialist in American folk and popular music, particularly the blues, spirituals, gospel and African American folk music. He is an author and has produced over 30 albums and compact discs of field and studio recordings. 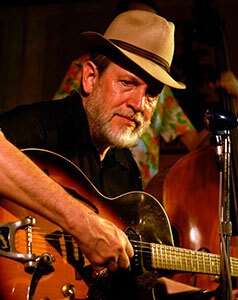 He is also a 2003 Grammy award winner for “Best Album Notes.” He performs blues music as a soloist and occasionally with the Last Chance Jug Band. Evans has made appearances all over the world, including the U. S., Europe and South America. His guitar accompaniments can be found on blues albums released in the U. S. , France and Australia and has recorded five albums of his own on the Inside Sounds and Blind Lemon labels. An open acoustic jam session will follow Evans’ performance. Participants are asked to bring their own instruments, voice or just your love for the music. This jam session is non-competitive and open to everyone. Throughout the day, participants can tour the Delta Heritage Center and grounds including the last home of Estes. Estes, born January 25, 1899 near Ripley, Tenn., grew up in northeast Haywood County near Nutbush. He made his first guitar from a cigar box and came along at a time when Blues was just becoming a recognized genre in African American folk music. It would become the predominate type of music in Estes’ repertoire. About the Center: The West Tennessee Delta Heritage Center, in Brownsville, is a music heritage destination that offers a refreshing Southern experience showcasing the history and culture of rural West Tennessee. Inside visitors can learn about the history of cotton, explore the scenic and “wild” Hatchie River and get to know the legendary musicians who call West Tennessee home. Also located on the grounds is the Tina Turner Museum at Flagg Grove School, the childhood school of Tina Turner, and the last home of Blues pioneer Sleepy John Estes. The Delta Heritage Center is also a featured stop along the Americana Music Triangle connecting Nashville, Memphis and New Orleans. To learn more about the Center, visit www.westtnheritage.com or call 731-779-9000.